Player A passes square to player B. Player B plays into C who combines with D to play the ball out of the other end. 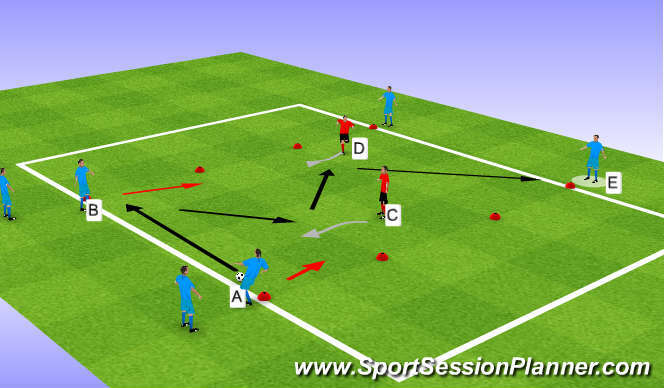 Game- 3 v 2 in pitch, end players must play into blue players who must combine to play the ball out to the opposite end. If Reds win ball (transition) the servers step onto pitch and play 5 v 3 for as long as possible. 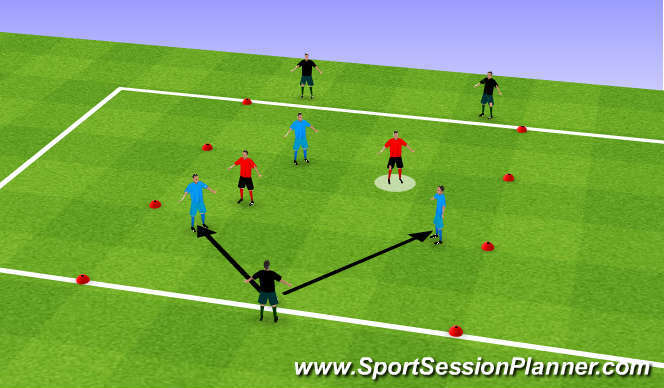 Use all of the techniques and decisions from session 1 to develop clever team play.